How do you become a business attraction magnet? The answer has nothing to do with networking, marketing, or sales. It has everything to do with you — you upholding your highest priorities and scheduling time for self-care. Because if you are the type of person who regularly burns the candle at both ends, you are actually hurting your ability to network or market or close sales effectively, because you are running at half, instead of full speed, mentally and physically. On this episode of Spotlight on Success I share a three-step process to taking effective “Me Time” and why it is vital to your business success. If you liked this video, please share it with your friends! 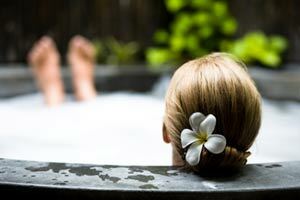 And of course I’d love to know how you like to take “ME Time” that refreshes and re-energizes you, so leave me a comment below. This entry was written by Dr. Shannon Reece, posted on May 3, 2012 at 5:00 am, filed under Spotlight on Success Episodes and tagged "ME time", avoiding burnout, business success, entrepreneur, small business tips. Bookmark the permalink. Follow any comments here with the RSS feed for this post. Post a comment or leave a trackback: Trackback URL.